Well, it just goes to show you that first impressions and hearsay are just that. 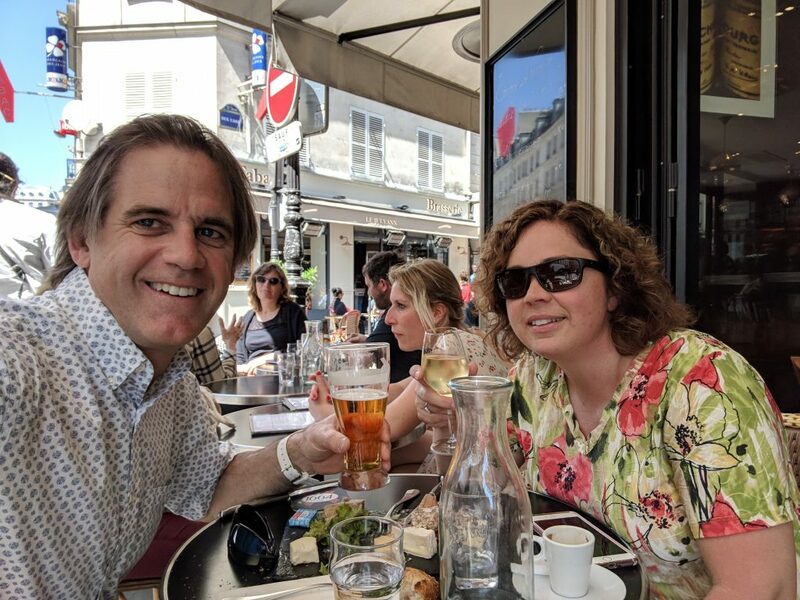 Karen and I landed at Charles De Gaulle airport with a 5 night AirBnB booked, while we waited for our boat to be ready in the south of France. I can just say that Paris did not disappoint! 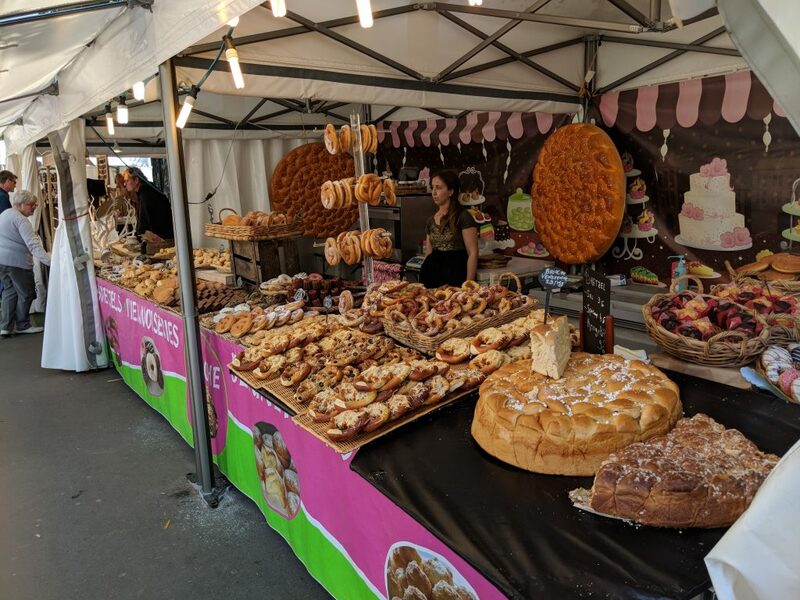 What’s not to love about cafes on nearly every street corner, a lifestyle of 2 hour lunches, a mastery of chocolate croissants and fine wine, and – especially significant – friendly, outgoing people! Our guidebook referred to Paris as the cultural capital of France, perhaps even of Europe. 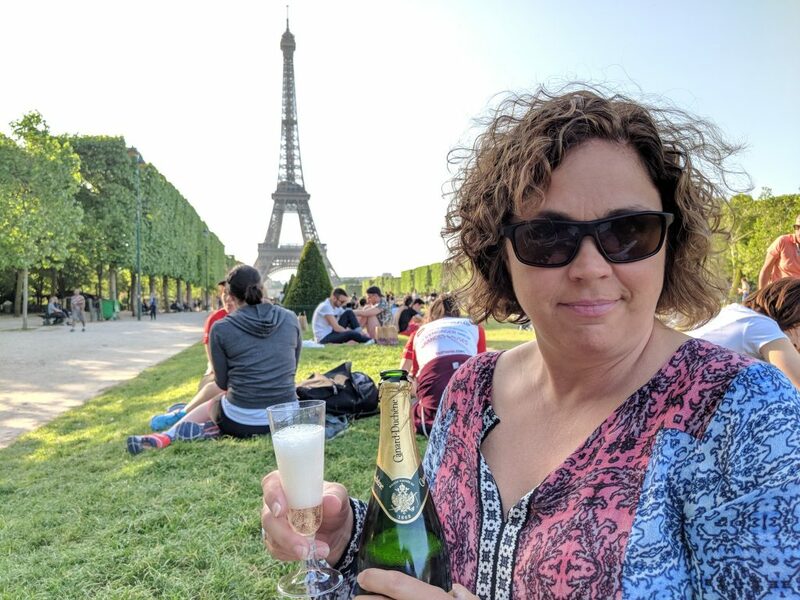 While this might be a tall order, I must agree that 5 days were not enough to experience the sights, the museums, the amazingly generous green spaces, and the delightful cuisine. And clearly we were not in on a special secret. 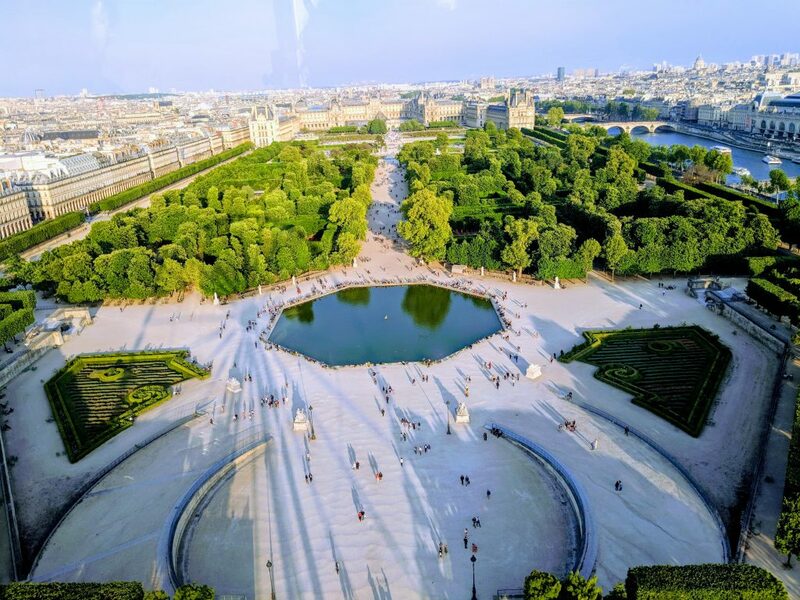 There were Parisians and tourists alike all enjoying the parks, the river banks, and the quintessential romantic bridges connecting them. 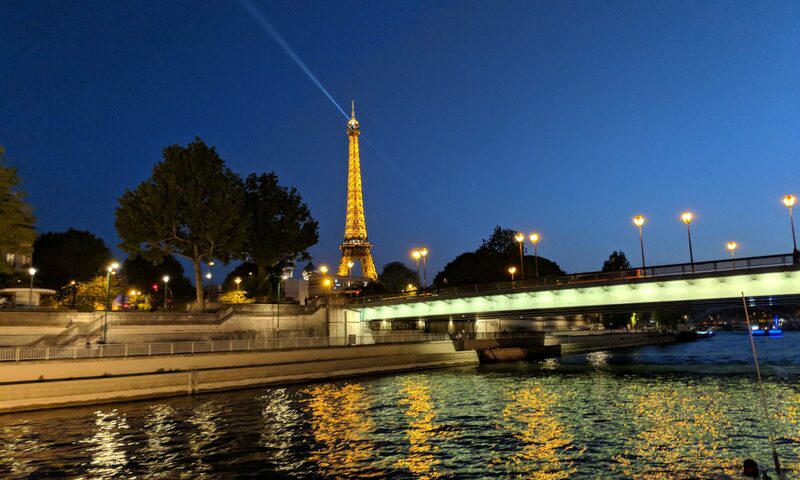 We wrapped up our Paris visit bedazzled – by the lights, yes, but also asking ourselves why we had not come here sooner. 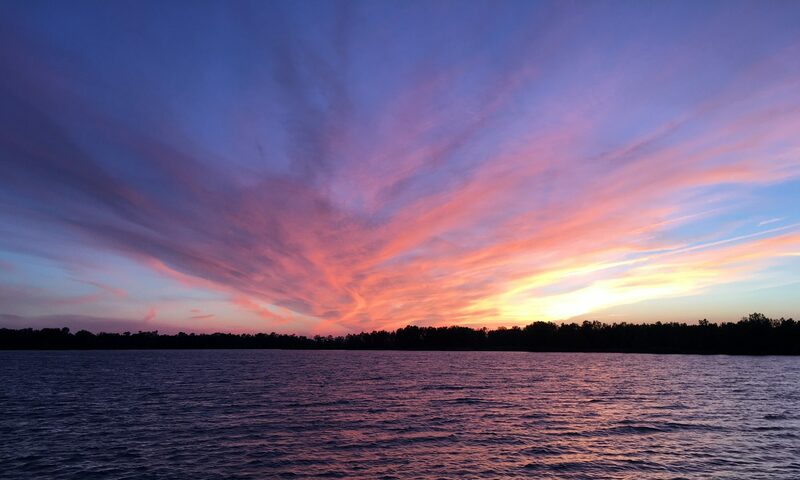 Put Paris on your short list, and you won’t be disappointed! Champagne, check, baguette, check, cheese, check – Eiffel picnic ready! Just one of 7000 cafes in Paris, but perfect for our first day out on the town. Jardin des Tuileries. There were hundreds lounging around the ponds and shady trees of this expansive city garden. 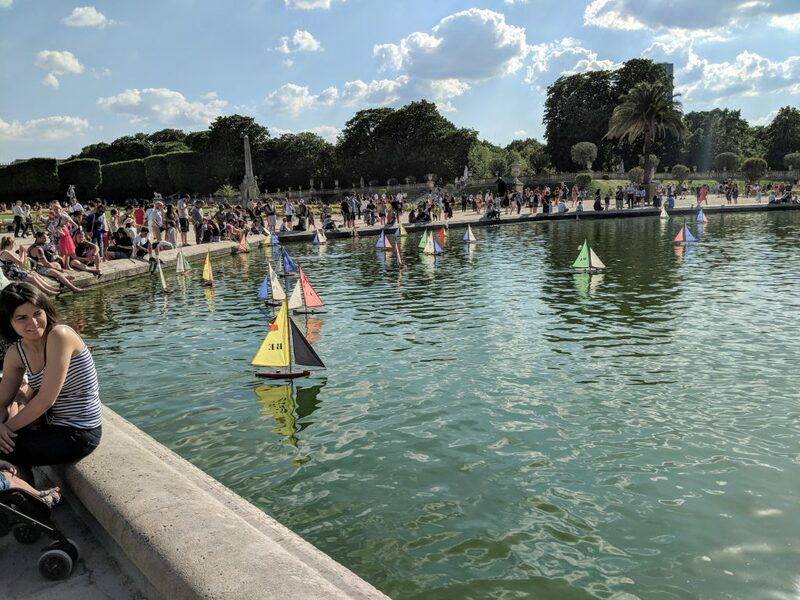 All you need is 5 euros for 30 minutes of sailing fun in the Luxembourg Gardens (slightly more economical than a grown up boat). Or if that’s too much work, you can be one of these happy picnickers. Too much bread to choose from. Oddly, they also sold donuts. Watch out Dunkin’!